H&W specializes in the manufacturing of small to medium size components. 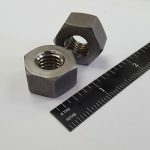 We have a wide range of machining capabilities and complementary services, providing our customers with turn-key solutions for their supply chain needs. We also have experience working with a variety of materials. Without sacrificing quality or attention to detail, we are able to provide competitive prices and lead times. As the manufacturing market has become increasingly globalized, we remain competitive. In fact, some of our products are shipped directly out of the United States to customers with operations in Singapore, China, and Mexico. We are experienced in processing supply chain friendly orders such as; blanket orders, Kan Ban, and consignment orders. Our background includes the oil and gas, electrical, and medical industries. 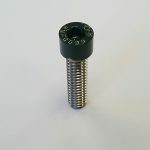 Additionally, our experience serving the fastener industry is extensive. We pride ourselves on our adaptability and are capable of providing an extensive range of machining services. Please contact us with your specific requirements and we will answer any questions and provide an accurate quote. 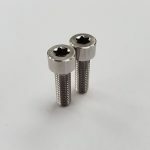 With our 28 CNC Lathes, we have expertise in turning very small to medium sized parts with tight tolerances. 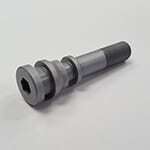 We can deliver parts up to 50″ between centers with 6″ pass through steady rest. We also offer live tooling and milling capabilities. Tolerances as close as +/- .0002″. 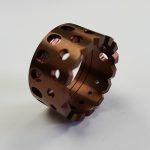 Our 7 CNC Swiss Turning Centers offer both 5 and 6 axis programmable machines that are capable of converting from traditional Swiss style to running without the guide bushing. This allows for increased efficiency and decreased cost. Machines equipped with sub-spindles, live tooling, and 12′ barfeeds. Our eight single spindle automatic screw machines provide additional machining capacity. These machines are 1.5″ diameter capacity and run 12′ bars, often unmanned, and help us keep our costs low and reduce lead times. Compliment our CNC machines by running first and even some second operations. Our EDM capabilities are a great compliment to our other conventional methods of machining. 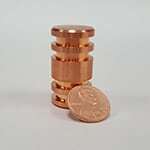 We offer 2 CNC Wire EDM, 1 CNC Plunge/Sinker EDM, and 3 Manual plunge/sinker EDM. This list is not all inclusive; please contact H&W with questions on materials not listed.